Disruptive technologies such as big data, analytics, artificial intelligence, and mobile networks have entirely transformed the supply chain. Enabled by digital solutions, companies can now collect vast amounts of data at different points in their operations. However, despite all the data they have on hand, businesses still seem to struggle to optimize their supply chain operations to deliver real value to consumers and enhance customer experience. To utilize customer experience as a differentiating factor, organizations are continuously looking for technology partners who can provide them with cutting edge logistics solutions for the last mile of delivery. One such platform is Locus. Locus is a global decision-making platform in the supply chain that uses deep learning and proprietary algorithms to provide route optimization, real-time tracking, insights & analytics, beat optimization, efficient warehouse management and vehicle allocation & utilization. Locus automates human decisions required to transport a package or a person, between any two points on earth, delivering gains along efficiency, consistency, and transparency in operations. Locus is currently working with 40+ medium to large enterprises across FMCG, Retail, E-commerce, 3PL and Home services sector. Locus is solving complex logistics problems for giant grocery players like Bigbasket by helping them achieve 99.5% SLA adherence for 10mn+ customers. Locus provides its clients with a complete route optimization product – Locus Dispatcher – that deploys AI to generate optimized delivery routes designed to increase the efficiency of delivery riders, meaning more deliveries in less time. Locus’s automated delivery route planner considers multiple real-life constraints and distribution models to save last-mile delivery costs. To provide the most optimal and dynamic delivery routes based on parameters set by the business, Locus Dispatcher utilizes the company’s proprietary geocoding engine and creates dynamic clusters. The tool minimizes overlap while recommending the best fleet combination to optimize logistics utilization. Locus Dispatcher considers traffic data, weight and volume parameters, customer time slot preference and other business-led stipulations to ensure improved customer satisfaction. Beyond that, Locus MotionTrack tracks packages in real-time, feeding companies valuable insights and analytics, and keeping customers updated on the whereabouts of their deliveries. MotionTrack provides insights down to the granular level: real-time fleet tracking systems allow companies to have their fingers on the pulse the entire time – from the first mile, to long haul, and down the last few yards. With an intuitive dashboard, sharing reports and insights to expedite business decisions also becomes easy, and with Locus API, companies can integrate their webstore, ERP solutions, and other apps to extract relevant information. For example, an e-commerce provider could send a text alert to the consumer when their item was picked-up for delivery, and allow them to track it all the way to the point of delivery. For organizations like Bluedart seeking to automate sorting operations and fulfillment centers (and slash operating times from hours to minutes), Locus offers IntelliSort that makes warehouses more intelligent. By combining machine learning, natural language processing (NLP) and rule-based improvements, Locus’s geocoding solution can translate diverse address formats and handwritten addresses into global coordinates. 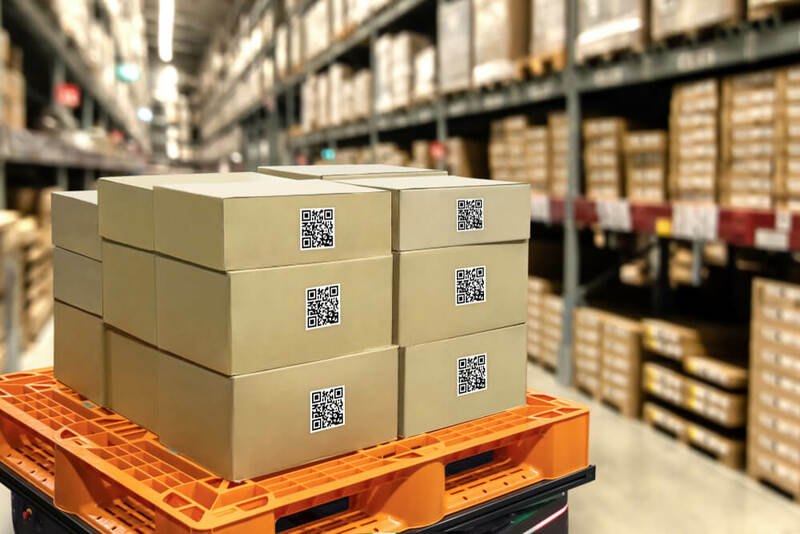 As a result, packages that arrive at warehouses are intelligently tagged with global coordinates and assigned to the most suitable delivery method with the most optimal delivery route. This eliminates the dependency on the human workforce making independent, and often incorrect decisions. The solution is estimated to reduce shipment processing time by 65 percent, and increase numbers of deliveries by up to 27 percent. Retailers can deploy Locus Field Pro to boost sales and increase revenue by mastering their salespersons’ route planning. The solution will enable every business outlet to be serviced by the right person, on the right day and at the right time. Using historical sales data, location and relevant timestamps of store visits, via some of the most advanced technology, businesses can identify underutilized salespeople, physical journeys and any potential wasteful route overlaps. Locus also provides features like Smart order allocation, Rider preference consideration, Real-time ETA, Live tracking for customers, Electronic proof of delivery and Mobile app to its clients. In conclusion, businesses need more than just optimization of data to help them operate at maximum capacity. They need solution partners like Locus to help them master data to elevate their business & supply chain operation to the next level. To learn more about the different solutions Locus can provide to power your business, get in touch with the company to schedule a demo.